In the ancient hamlet that surrounds the Bibbione Castle ,12 apartments have been extracted with an attentive restoration, all tastefully furnished with special attention paid to its particulars. 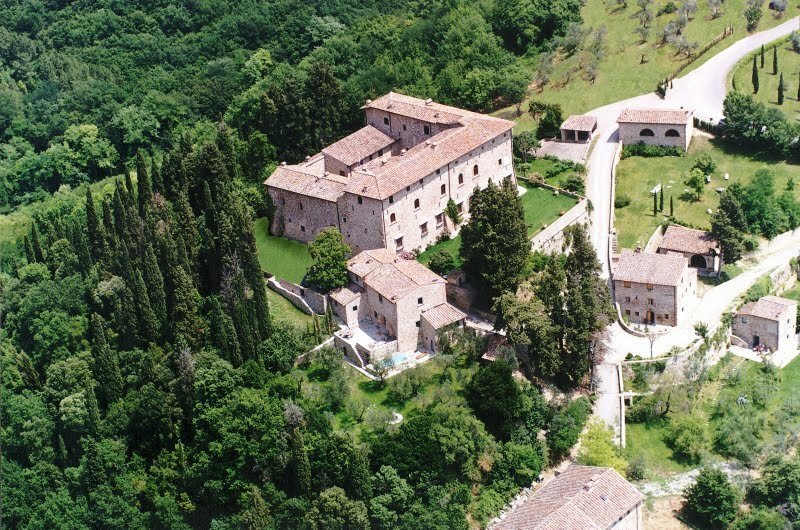 In the ancient hamlet that surrounds the Bibbione Castle ,12 apartments have been extracted with an attentive restoration, all tastefully furnished with special attention paid to its particulars. The hamlet dates back to 1200 and is located in a panoramic position on the hills in front of San Casciano Val di Pesa. At guests disposal is a beautiful swimming pool (6.5x17) (01/05-30/09 open from 9.00am to 8.00pm), table-tennis, mountain bikes. In the nearby valley, about 2 km away, passes the superstrada Florence-Siena. Comfortable furniture with period pieces. On request and to be paid on the spot: cook, domestic help (extra hours), driver, baby sitter, breakfast service (10 euros/person), guided tours, cooking lessons and health/wellness centre. PLEASE NOTE: Check in: 3 - 7 p.m. Check out: 9 - 10 a.m. Pets are not allowed in the swimming pool or in the breafast room. ACCOMMODATION: (119 m2) Gr. fl. : living room with double divan bed, dining room, kitchen (dishwasher, washing machine), 1 bathroom with shower. 1st Fl. : entrance with fireplace and single sofa bed, 2 double bedrooms, 1 bathroom with shower. Private garden.